CWC is located at Provincial Capitol Complex Cadlan, Pili. It is approximately 15 – 20 minutes from Airport. There are free shuttle from airport which will take you to CWC. And if I’m not mistaken, there are also free shuttle from Naga to CWC. But if you fail to catch the free shuttle, from Naga you may ride a bus going to Legazpi City and ask the driver to drop you off at the Provincial Capitol. 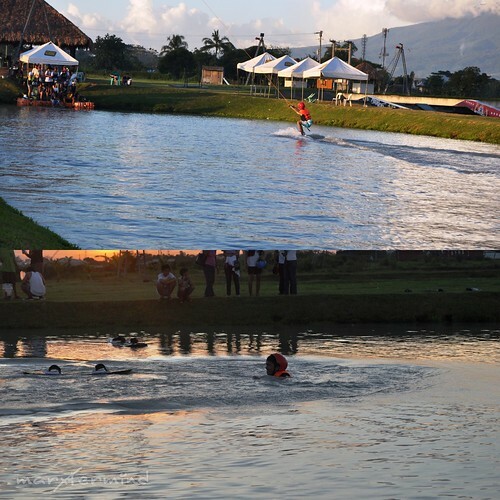 And from Capitol you may ride a tricycle or padyak which will take you to CWC. I was amazed how the complex looks like. 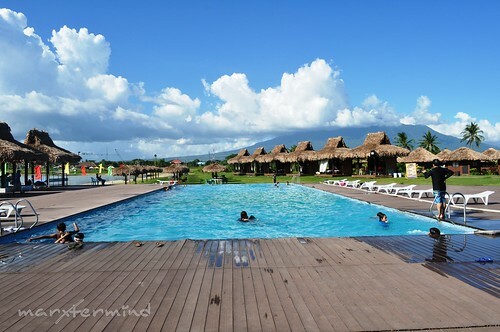 I never thought that despite of the simple living on this province, there is still such impressive resort / complex placed in Cam Sur. Cam Sur is truly the next prime destination for everyone. 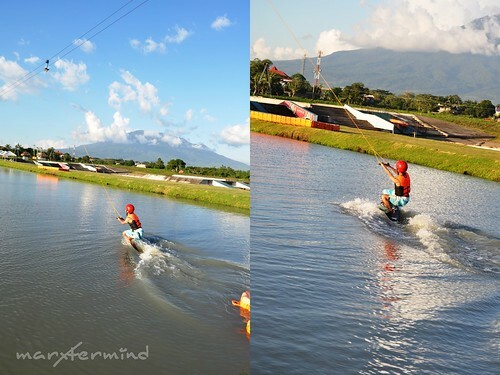 So it ended up me, myself and I for wakeboarding. 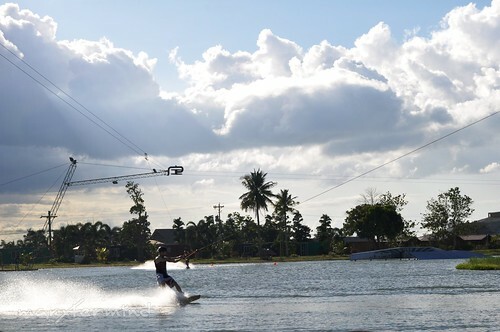 Since I have no plans of spending half day for it, I just asked for the 1 hour wakeboarding. 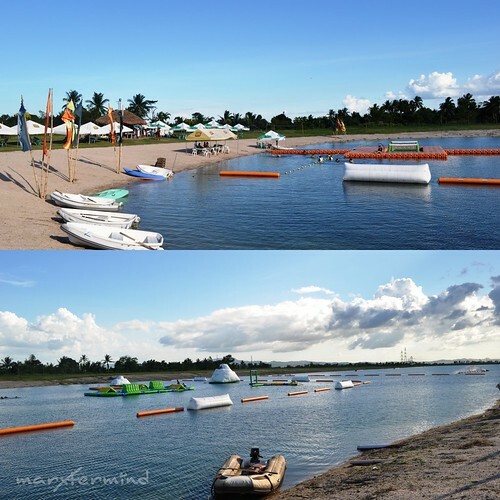 The 1 hour rate for beginners (cable pass rate) is PHP 125.00 + equipment rental (Life Vest & Helmet) of PHP 40.00, initial deposit of PHP 500.00 is needed (but it’s refundable). By the way, did I mention that the cable pass rate also includes a free use of swimming pool? Great deal, isn’t it? For CWC rates and packages, you may visit CWC website. The main lake was not operational that time (for some upgrade / maintenance) so all wakeboarding are coursed through the small lake (I forgot the name), I had my name listed on the waiting list. While waiting for my turn, we roamed around and took some pictures. When we got tired, we sat and just waited for my name to be called. I lined up and observed everyone doing the course. There is no official class / instruction for this one, so kanya-kanya na to! The instructor will only tell you what to do in a span of 1 minute. If you have questions, don’t hesitate to ask, his instructions are only brief. But don’t be scared just have fun because all experts were once beginners, right? OK, never give up, try and try! For my second try, I was able to get it! Pero nakabitiw ako pagdating sa dulo, ang bilis di ako nakakapit ng maiigi. But it was fun, naadik ata ako and I lined up for another try. It was already getting dark and we decided to leave. Spend atleast halfday for ultimate CWC experience. There’s available restaurant inside the complex, and I must admit their pizza is good! Skatepark is also available inside the complex for skateboarders. There’s also massage available at CWC if you want to relax and get pampered. 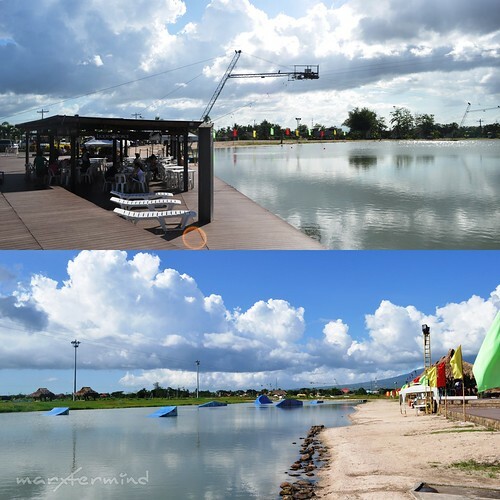 Nice blog and ang ganda ng mga kuha, gusto kong pumunta ng CamSur and ma experience mag wake boarding, someone told me na maganda raw mag wake boarding dito. Sana this year makarating na talaga ako jan. Thanks for sharing your blog. 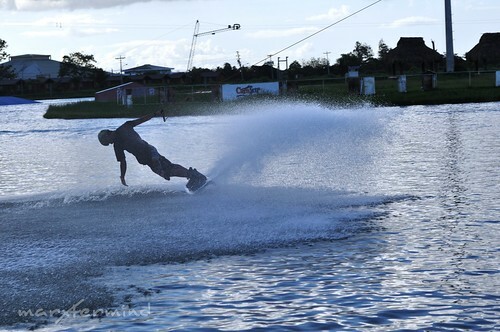 Nice blog on Wake Boarding . 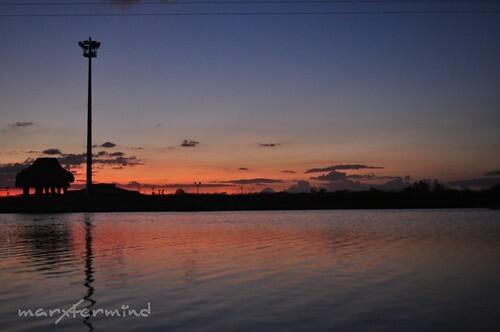 Practice makes you perfect… you can try it again… CAMSUR is definitely risen as the hottest destination to visit. I think last year, it was Destination of the Year by DOT. BTW, I linked your site already, care for link ex?